When you sell a house, you will have some closing costs to pay. Many people are not fully aware of the amount of closing costs for home sellers. Although many of these fees are paid by the buyer, the seller has to pay additional fees as well. These fees may reduce the amount of equity from the sale that the seller receives. As a rule, the term "closing costs" refers to all of the costs that are paid at the closing of a home sale beyond the purchase price of the dwelling. These fees include governmental taxes and fees for searches and reports to process the sales transaction; these costs can range from around 3-7 percent of the purchase price for both buyer and seller. The amounts themselves are often negotiable and determining which party pays a particular cost can also be negotiated before the actual closing. The exact fees that are included in closing costs may vary by state, county, or even city. Broker's Commission: The seller often has to pay the service fees for the broker or real estate agent. The amount of this commission depends on whether a full-service brokerage firm was used or if the house was sold by the owner. Survey Costs: In some states, the sellers have to supply a plat of survey, which is a map showing the property lines and other characteristics of the plot of land. This map is created by a licensed surveyor and may range between $150-600. Recorded Release of Mortgage: The seller is also responsible for paying off the old mortgage on the property, any home equity lines of credit, and any other debts on the property. Interest on Previous Loans: On most mortgages, the monthly interest is paid for the month that just ended and not for the month that is coming up. When selling the property, the seller will have to add that last interest payment to the closing cost total. Prepayment Penalties: Depending on the type of mortgage the seller obtained to purchase the house originally, there may be a pre-payment penalty for early payment. This fee could actually be fairly significant--up to 3-5 percent of the amount of the loan. Title Insurance: In some states, the seller has to provide title insurance for the buyer; this insurance policy protects the purchaser or the lender against any property loss or damage due to problems with the title to the property. This serves as a protection of the equity in the property. In other places, the lender may force the buyer to purchase this insurance. Transfer Taxes: The seller may also pay the property transfer tax which may be charged by the city, county, and state. This may be a percentage of the sales price of the property or may only be a flat fee. 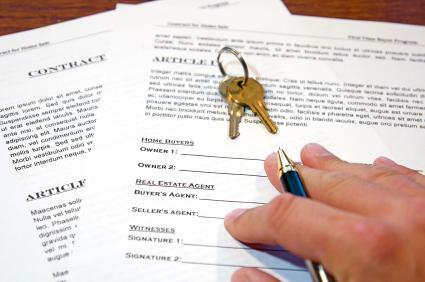 Attorney Fees: If the seller uses a real estate attorney, the seller is responsible for those costs. The broker or realtor may be able to shift some of these fees to the seller for other concessions like repairs to the house during the negotiations. In the end for most sellers, closing costs can potentially add up to several thousand dollars. A home buyer has his own list of potential closing costs that need to be considered as well. The mortgage lender is required to give the buyer a written list of the closing costs within 3 days of applying for a loan. However, this list is only an estimate and the buyer may owe more money when the sale actually proceeds. Examples of these costs include loan origination fees, escrow fees, homeowner insurance and property taxes. Home sellers and buyers need to fully understand which closing costs are going to be paid by which party prior to the closing event. The lender or governmental entity may require a specific party to pay specific fees, but most are fluid. The real estate agent or attorney can help in this negotiation and perhaps lower the closing costs for home sellers. It is vital to enter into the closing with information about the money that the seller will owe at the end of this process. The seller can then have a solid expectation about how much money will be cleared after the sale. Another important point is that the seller has to keep a list of all closing costs that were paid and copies of all of the sales and loan documents in order to accurately determine the home's cost basis. This allows the seller to calculate how much, if anything, will be owed to the IRS during the next year from the house sale.